architect whom Mighty House enjoys working with. Josh focuses and excels at modern architecture and design. He likes modern architecture because it focuses on solving design problems in a way that functions the best for users of building rather than applying decorative elements to a building like traditional architecture. Creative solutions and fine details are his thing. 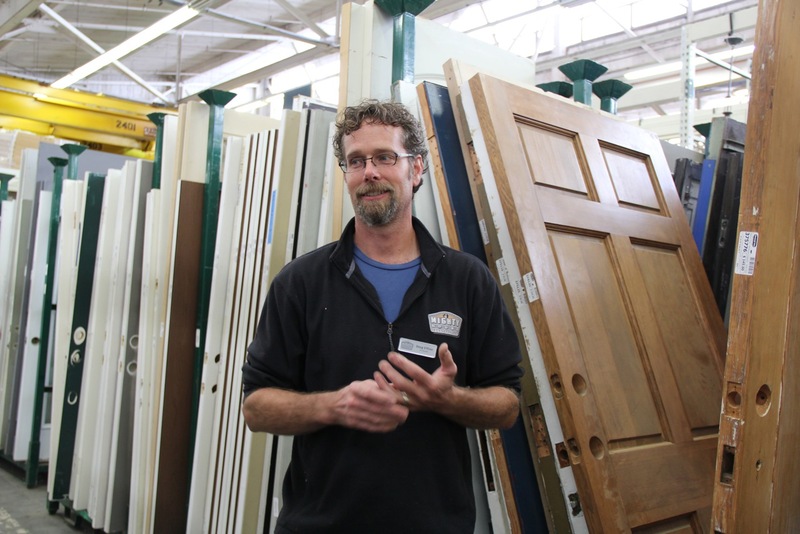 Josh says theres so much more to architecture than just placing walls, doors, and windows. Josh, can you tell us a little about your early career and background? My next door neighbor growing up in Youngstown, Ohio, was our area’s most desirable builder and owned Donoghue Construction. “Lefty” had me on jobsites as a kid and taught me all the practical stuff I know about construction as I helped him build residential projects. In high school, I took a CAD class, and my computer lost months of work just one week before a big project was due. I called local architects to ask them if they had a computer with AutoCAD I could use after school. One guy (Mark Hanahan of Hanahan Strollo Architects) said YES, and I spent hours and nights in his office redoing my work. He noticed my work ethic and offered me a job after I graduated high school. I continued to work with Mark and Lefty through 6 years of architecture school while at Kent State University. Towards the end of college, Hanahan and Strollo split their firm that specialized in schools and hospitals. A staff of over 50 people went with Strollo, and I was the only one that went with Hanahan. He threw me right into some really cool residential projects where I could build upon my experience building homes with Lefty. I quickly found out that designing homes was my passion, and I moved to Seattle where the coolest homes in the world were being designed. Stuart Silk Architects and Prentiss Architects taught me the craft of designing high-end modern homes. Using this experience, my own style, and my background with construction, I started my own company to enrich people’s lives through innovative architecture. What about architecture is juicy for you? I love designing customized functional architecture, with built-in pieces that makes living easy. There’s so much more to architecture than just placing walls, doors, and windows. Do you have a particular style that you tend to lean towards? I like modern architecture because it focuses more on solving design problems in a way that functions the best for the users of a building rather than applying decorative elements to a building like traditional architecture. How do you approach sustainable building and remodeling? In all projects, I try to “trap” as much energy in a building as I can. Innovative ways of using insulation and caulk plays such a key role in making the “envelope” of a building tight, so energy doesn’t leak out. I have become quite a nerd when it comes to “putting a nice coat” on a building. I always tell clients, “you can buy an expensive Patagonia coat, but it’s not going to keep you warm unless you zip it up.” Houses work the same way. Can you think of a recent project that you’re proud of where you were able to influence the way the homeowners live, play and grow in their home? 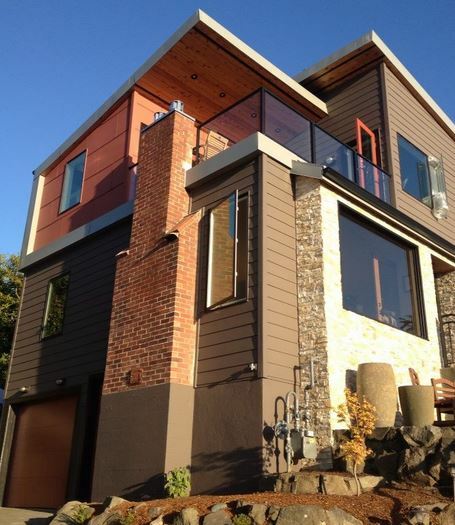 I designed a house on Alki on 59th that does this quite well. They started with an existing bungalow and asked for a traditional upper floor addition. After looking at their lifestyle and things that interest them, I gave them a functional modern residence that embraces the views, maximizes natural light, provides outdoor living spaces, and has roofs facing south for future solar panels. They loved it immediately when they saw the drawings. Somehow I knew they really didn’t want a traditional house even though asked for one. The Solar Star Attic Fan is a solar powered fan designed to suppress heat build up and battle moisture. 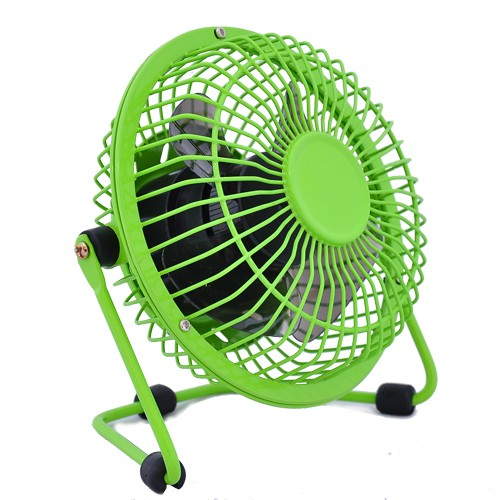 This fan comes with a 5 year warranty, is whisper quiet, and leakproof. It is a great solution for Pacific Northwest homes that experience some high temps for a few weeks during the summer. Most homeowners report a 10 degree difference in their home. In addition it will help the utility costs incurred from increased temperatures and ease the workload of AC’s. 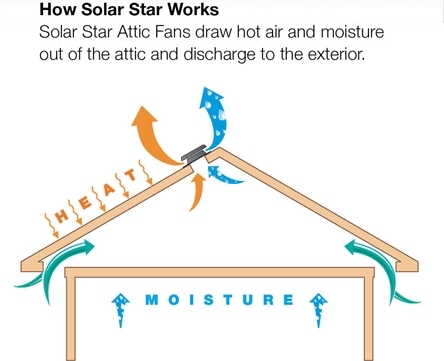 Solar Star Attic Fan’s help during the winter too! The fan equalizes interior and exterior temperatures which helps to prevent damage to insulation and framing materials produced by moisture accumulation. Or, if you already have an attic vent, Solar Star makes a conversion kit so you can change it to a solar powered vent. When heat waves hit the Pacific Northwest it can be tough to stay cool in homes designed for a temperate climate! Here are some tips to help release the heat! This may seem counter-intuitive, but closing your windows will help keep cool air in and hot air out. You can open them back up at night when the temperatures drop but then close them in the morning before leaving the house. BONUS: Get a window fan that blows hot air out in the early evening & brings cool air in over night. With the help of fans of course! Strategically place fans throughout your home and open windows and doors to create a cross breeze if the air outside is cooler than inside. They have window fans that will work in both directions so you can blow hot air out and cool air in. BONUS: Put a shallow bucket of ice in front of the fan, take caution of the water created from the melted ice. Turning the stove or oven on will only increase the temperature in your home. Eating cold foods for dinner such and salad or gazpacho can help to keep your core temperature down as well as your home temperature. If you do want to eat hot food the grill is the best way to go so all the heat will stay outside. If you’re lucky enough to have shaded areas in your home or yard, or super luck and have a below-ground basement, try to spend most of your time in these spaces. That might mean moving y our computer to the kitchen table for the day, folding laundry in the living room, or prepping your dinner on the patio. BONUS: Open windows + doors across rooms from each other to create a cross breeze.